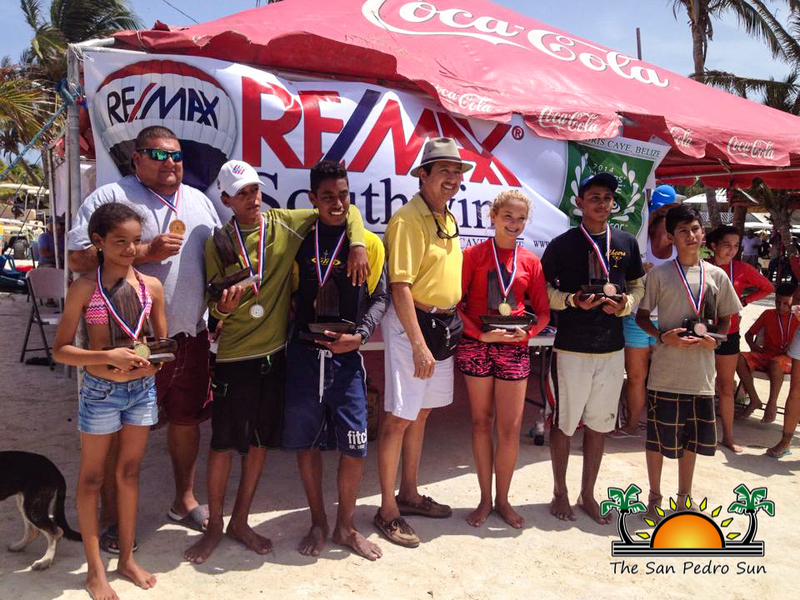 Young sailors from across the country took over San Pedro on Saturday, July 5th and Sunday, July 6th for the San Pedro Sailing Regatta. The two-day regatta is the 5th National Ranking Regatta of the 2014 Sailing Season and acts as a qualifier for the National Champions Regatta (BIZ14) scheduled for November 8th and 9th. 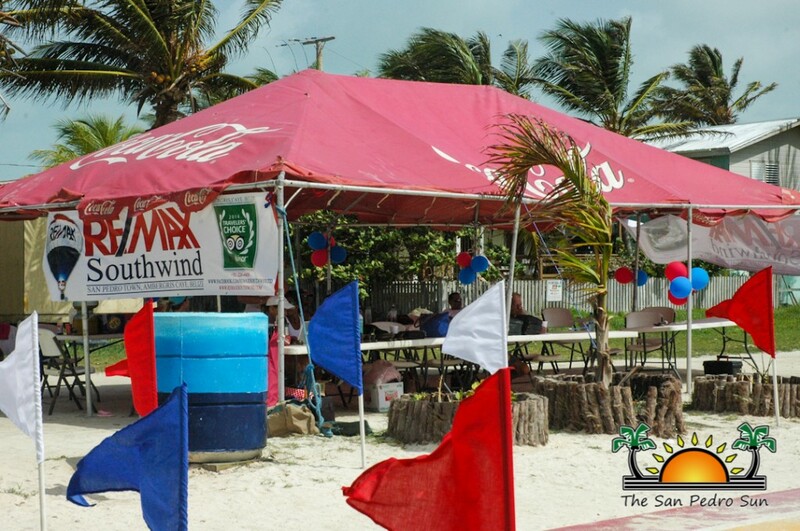 Held at the Boca del Rio Park, the regatta saw the participation of San Pedro Junior Sailing Club (SPJSC), Sea Scouts, Belize City Sailing Club (BCSC), Corozal Bay Sailing Club (CBSC), Placencia Sailing Club (PSC) and San Pedro Sailing Club (SPR). The San Pedro Sailing Regatta was divided into two sailing fleets: the white fleet for advanced sailors and the green fleet for novice sailors. 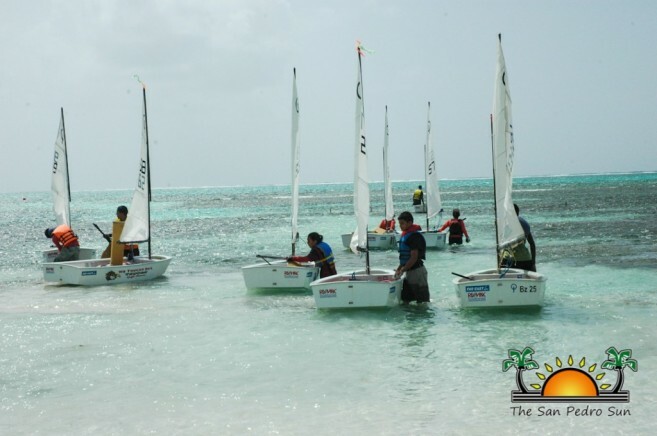 At total of 25 sailors raced in the white fleet, while 23 raced in the green fleet, all sailing in the Optimist Class. Taking top place in the white fleet were SPJSC members Faith Noel and Jerdon Anderson, both who tied for first place. 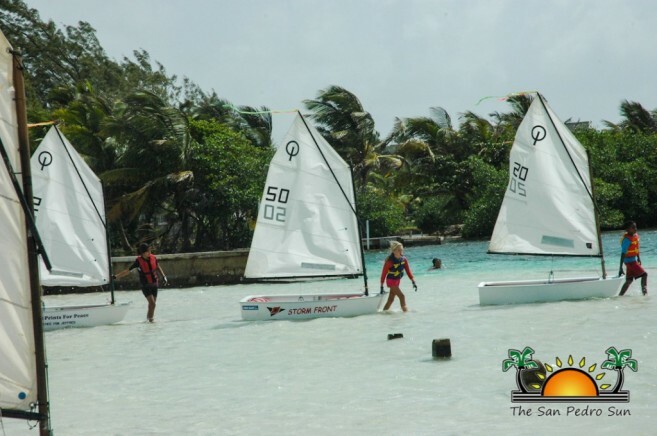 In the green fleet, first place went to Alanis Badillo from CCSC. 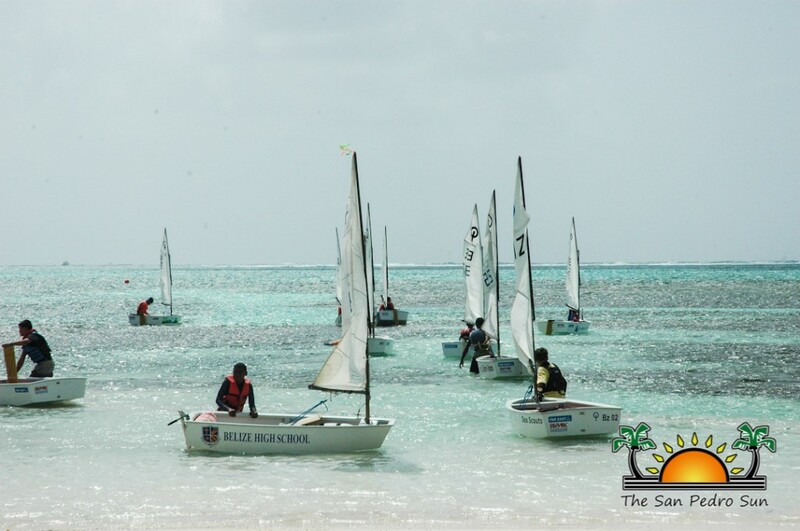 Each fleet competed in a series of six races, and the winner of the regatta was determined by who scored the least amount of accumulated points. In the white fleet, Faith Noel took 1stand Jerson Anderson took 2nd, both with a score of 11 points. In third place was Antonio Ricardez Jr. of BCSC with 20 points. Other top finishers in the white fleet included: Christian Trejo (SPJSC) in 4th, DavinPuc (SPJSC) in 5th, Blanca Velasquez (SPJSC) in 6th, Kevin Velasquez (SPR) in 7th, Gorge Olivarez (SPR) in 8th, Trent Hardwick (Sea Scouts) in 9th and Christopher Young (CBSC) in 10th. 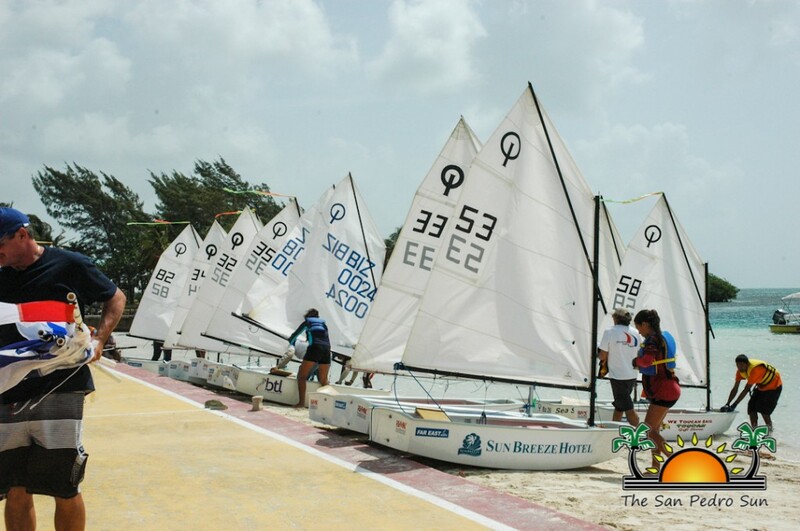 Other SPJCS sailor in the white fleet included Kathryn Salinas who came in 15th place. SPR finishers in the white fleet included: Sarah White in 13th, Mitchell Sersland in 14th, Samantha Velasquez in 17th, Chris Lopez in 22nd and Caroline Sersland in 23rd. 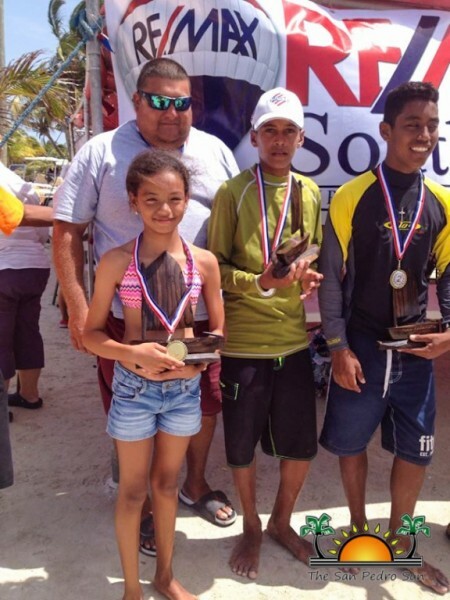 In the green fleet, Alanis Badillo of CCSC took 1st, Harrison Cadle Jr. of CCSC took 2nd and Rashawn Gonzalez of SPJCS took 3rd. All three sailors had a score of 14 points. Other top finishers in the white fleet included: Trent Humes (BCSC) in 4th, Peter Joo (PSC) in 5th, Glenford Barrera (CCSC) in 6th, Angel Pol (CCSC) in 7th, Gabbi Knox (SPJCS) in 8th, Christian Ferrell Jr. (PSC) in 9th and Malik Jones (CCSC) in 10th. SPJCS finishers in the green fleet included: Angel Navidad in 11th, Kenny Velasquez in 15th, DivyaWadwa in 19th, Leroy Alexander in 21st and Ernesto Navidad in 23rd. Everal Dixon from SPR finshed 16th in the green fleet. Congratulations to all sailors on an excellent regatta!